Concept books exist partly to teach young children basic concepts: ABCs, numbers, colours, opposites, time, size, and in this book, prepositions. Concept books are most often unmemorable. I can tell you at various times our bookshelf has housed cardboard books with the name of a colour on each page, but I got rid of those. 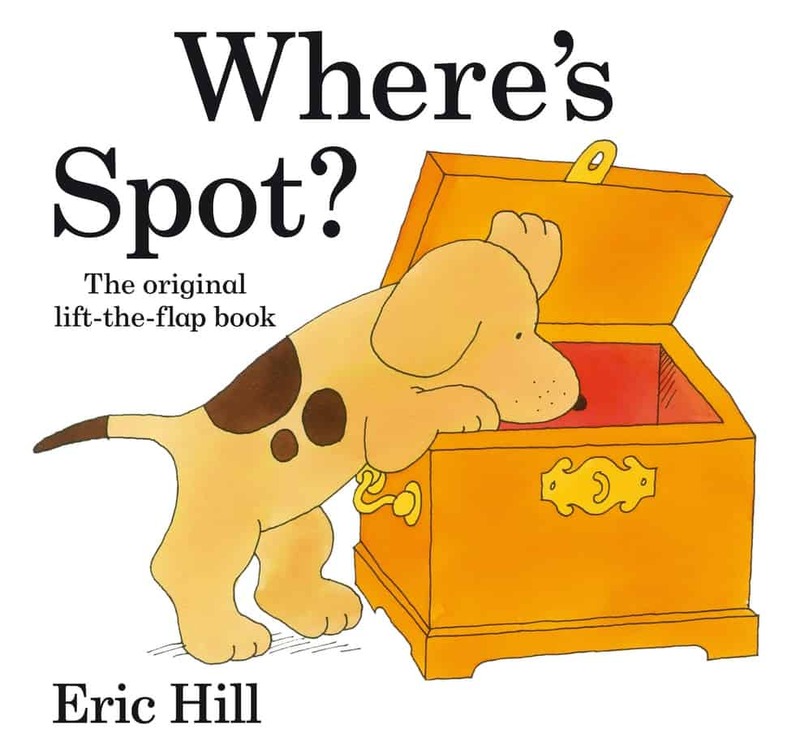 Where’s Spot on the other hand is memorable, and one of my 9-year-old daughter’s favourites. That’s not just because she loves dogs — Where’s Spot is a concept book with a complete narrative. G.K. Chesterton pointed out that where a six-year-old is excited if someone opens a door in a story and finds a dragon on the other side, a two-year-old is excited enough if someone opens a door. When we are very young children we do not need fairy tales: we only need tales. Mere life is interesting enough. A child of seven is excited by being told that Tommy opened a door and saw a dragon. But a child of three is excited by being told that Tommy opened a door. Boys [children] like romantic tales; but babies like realistic tales—because they find them romantic. The sentence, “Where can he be?” elicits desire in the reader, to look for Spot. Sally goes on a mythical journey and on the way comes across all sorts of creatures: a bear with a jar of honey, a snake, a hippo, a lion, a monkey, a croc. Three birds. Sally looks everywhere Spot could be hiding. The animals Sally encounters are all pretty fearsome, though not ordered in order of ascending scariness. However, when we get to the birds there are three of them, whereas there was only one bear. When the narrator says, “There’s Spot! He’s under the rug” we find out he is not, and the stakes are raised; will we ever find Spot? We see Sally running to the basket, rather than standing at the possible hiding place. This is Sally at the climax, in crisis, fretting. Next PostNext Are Crime Shows Becoming Less Sexist?